Traditional root ad-blockers like AdAway and AdBlock Plus have no effect on YouTube anymore. Until now, if you wanted to get rid of the commercials that play before your favorite videos, there have only been two ways—either by paying for a YouTube Red subscription, or by using an Xposed module to modify the YouTube app itself and force it into not showing ads. But Xposed isn't an option for everyone. Some phones have locked bootloaders, which means no TWRP and no Xposed Framework. And then there's the fact that Xposed breaks Android Pay and similar services, which is a deal breaker for a lot of people. But developer Arter97 has finally found a way around this. 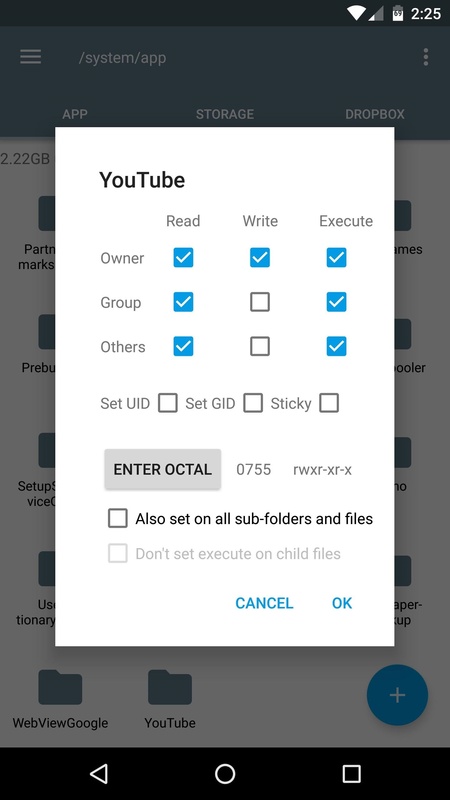 He modified the stock YouTube app itself to not show ads, which is basically what Xposed would do, but bundled into one package. 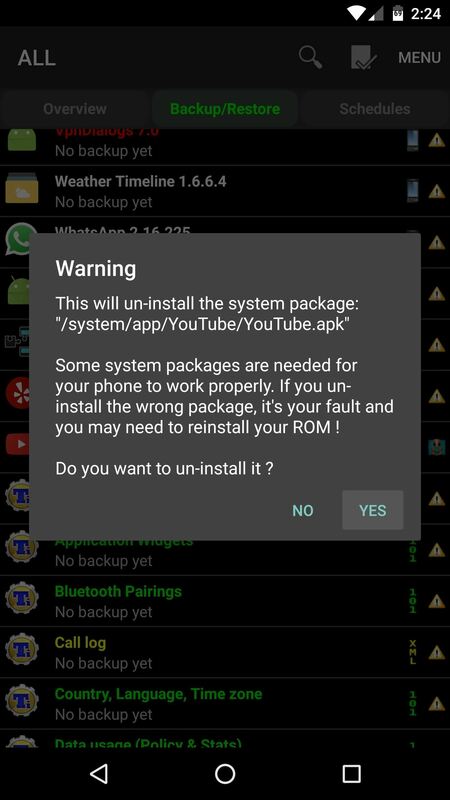 Ultimately, this means you only need root to block ads in Android's YouTube app, and it's a fairly simple process. 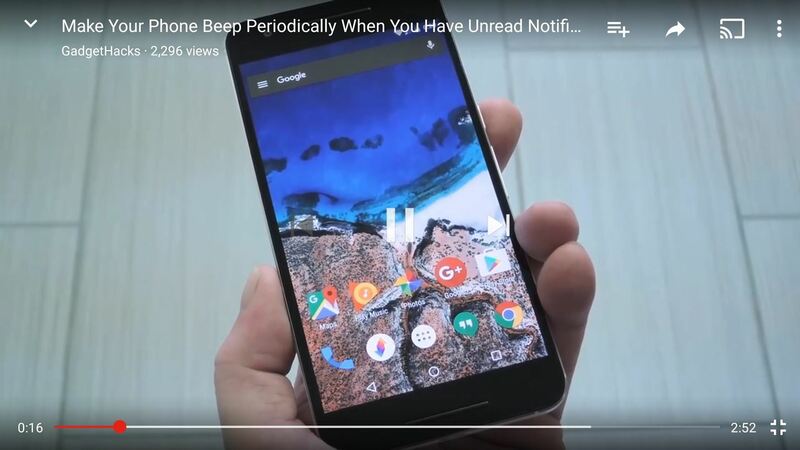 The ad-free YouTube APK comes in several different variants that are device-specific. As such, you'll need to know your phone or tablet's processor type and DPI value before you download the app. 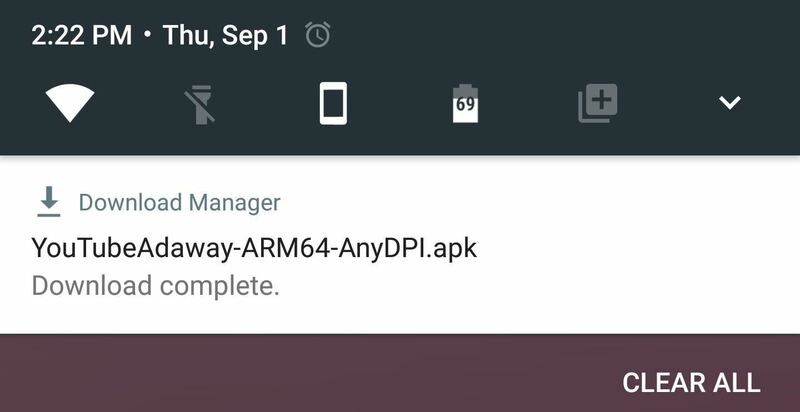 If you're not sure about your DPI, you can see this number with an app called DPI Checker, which is pretty straightforward. Then, to find your processor type, you can use an app called Droid Hardware Info. It's not quite as straightforward as DPI Checker, so we've covered the process with a full guide, which you can read at the following link. 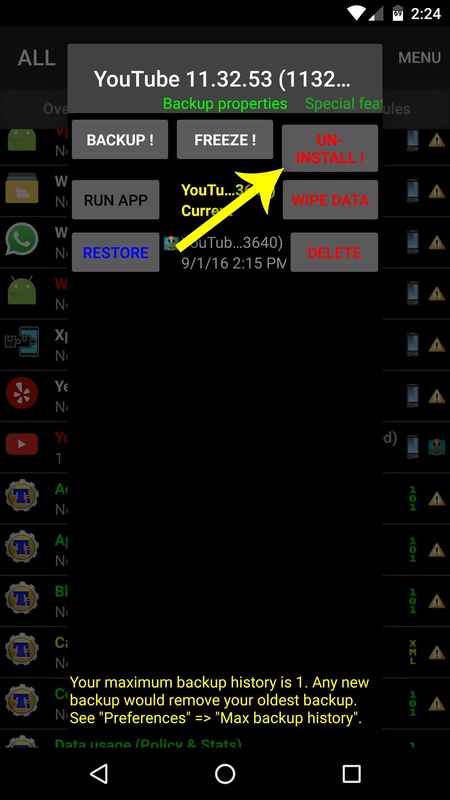 Next up, you'll need to get rid of the stock YouTube app so that you can install the modified version. To do that, I'd suggest using Titanium Backup. 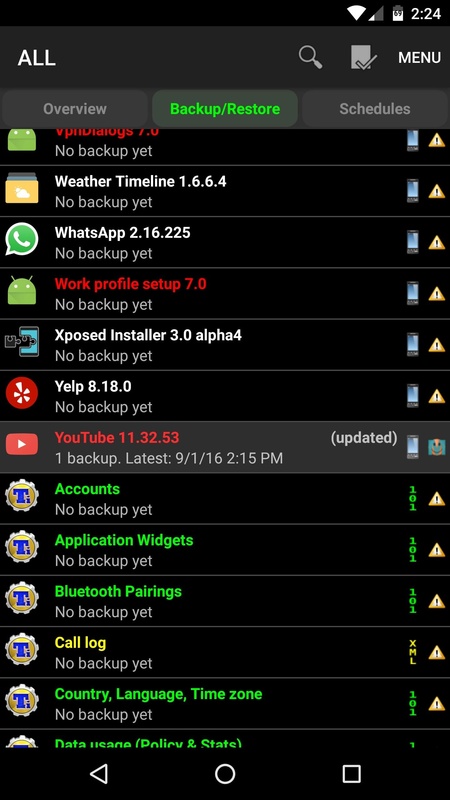 So head to the Backup/Restore menu in Titanium Backup, then select the YouTube app from the list. If you want to be on the safe side, you can tap the "Backup!" button on the popup—but to remove the app, just tap the red "Uninstall!" button. From there, confirm your choice on the popup, then you'll be ready to install the ad-free version of YouTube. 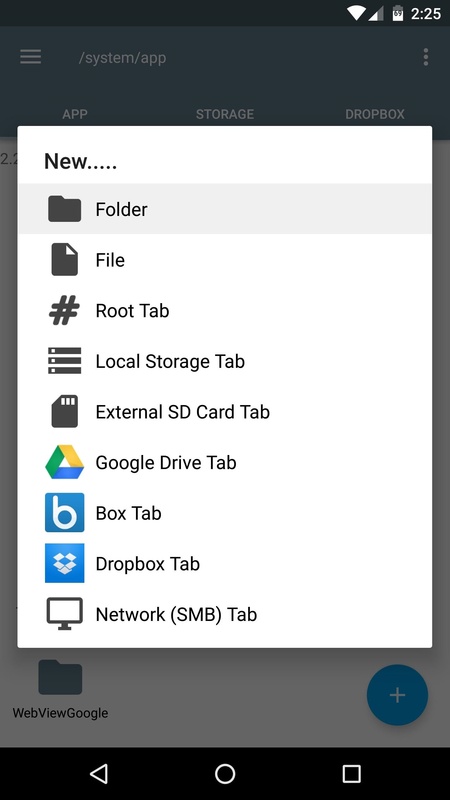 Next up, open your favorite file browser and head to the /system/app folder on the root partition of your device. 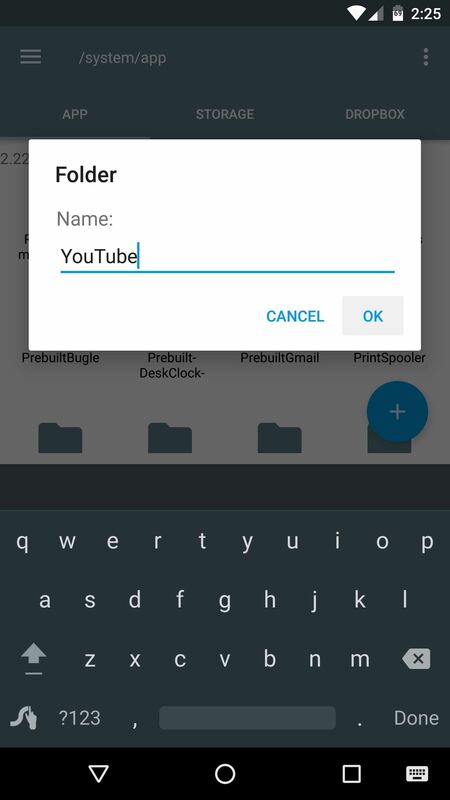 From here, create a new folder, and name it "YouTube" (note the capitalization). 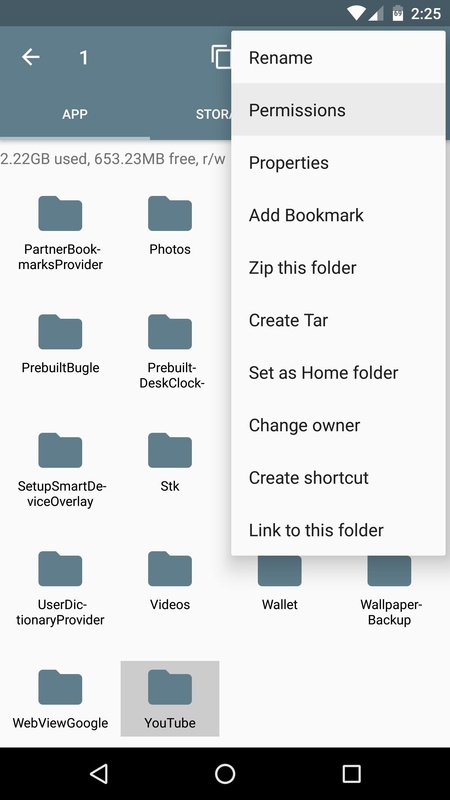 From here, long-press the folder you just created, then choose "Permissions" from the menu. Next, set the "Owner" category to Read, Write, and Execute, then set all other categories to just Read and Execute. Or, if your file browser is capable of entering octal permission numbers, just set the value to 0755. 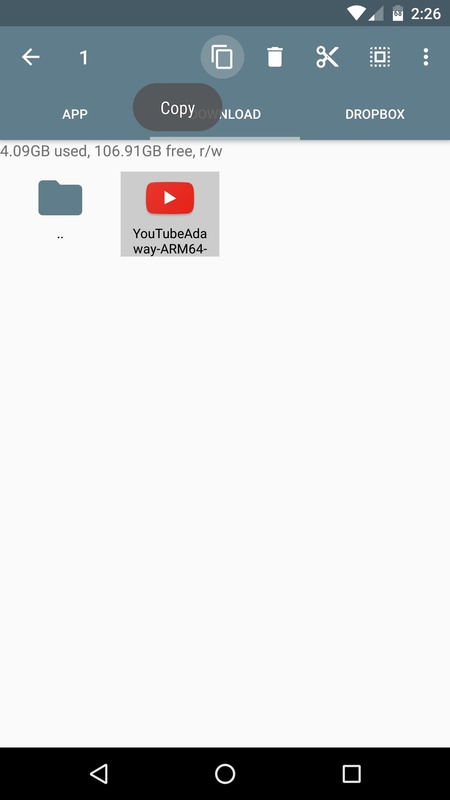 Next up, head to the Download folder on your SD Card or internal storage, where you'll find the ad-free YouTube APK that you downloaded in Step 2. 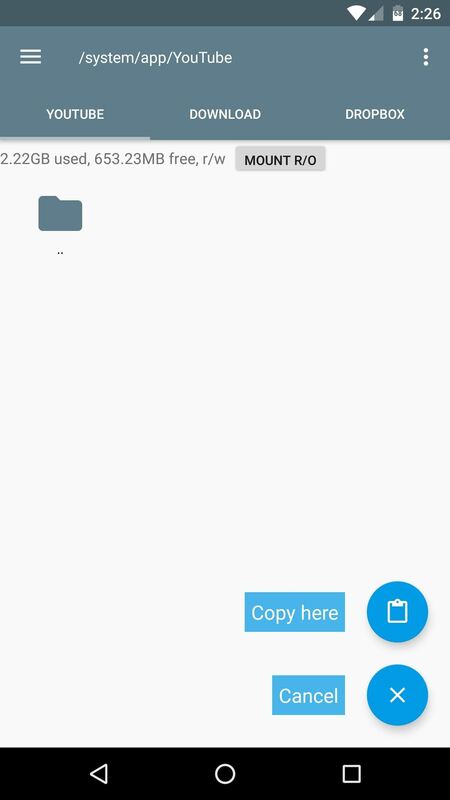 From here, just copy the APK, then head into to the YouTube folder you just created, and paste the file directly in here. When you're done, simply reboot your phone so that the changes will take effect. When you get back up, you can continue using the YouTube app as you normally would, but with one main difference: All of the ads will now be gone. The only downside to this method is that you can't update the app through the Google Play Store, but all you'll need to do in the future is just head to the developer's website, grab the latest version, then replace the APK in that /system/app/YouTube folder with the newer file. I really like ur article n I have learned alot from this post..